***SOLD OUT*** Availble for wholesale minimum quantity 150 pieces. 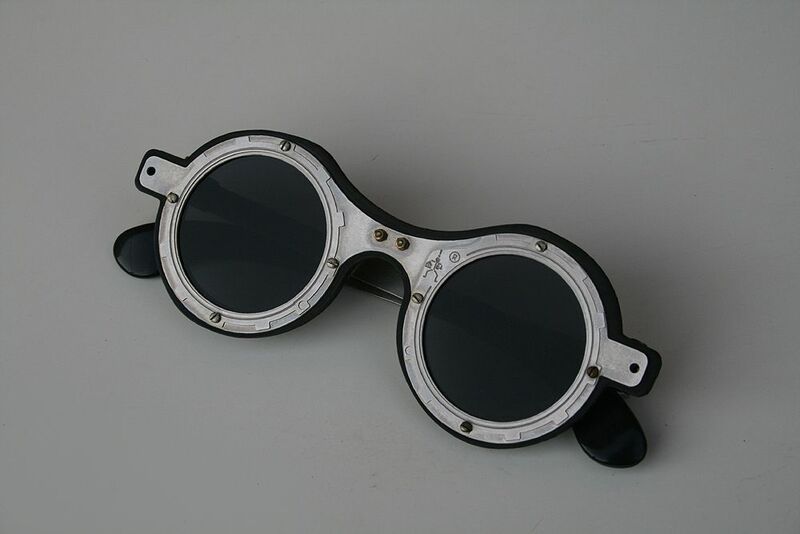 Unusual unisex Goth Steampunk sunglasses, round frame with round flat lenses. The construction in the frame is very different to any the mainstream sunglasses or eye wear. The frame is made of thin layers of raw stainless steel without coating or plating as opposed to casting. These sheets are held together with screws. These are no ordinary frames, they are a piece of wearable art that will never go out of fashion. These sunglasses are a stage beyond any other design in eye wear.